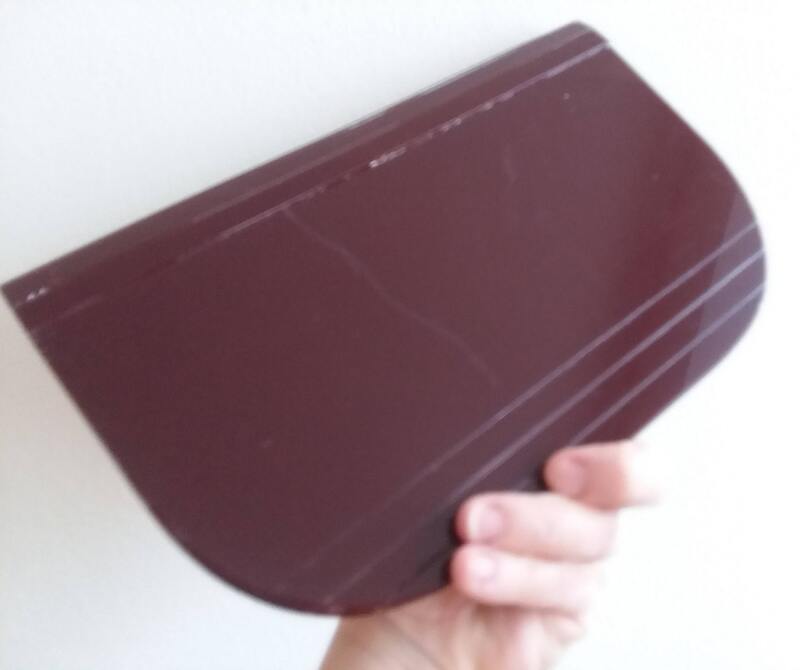 This is a great deal on a great vintage Lucite clutch. 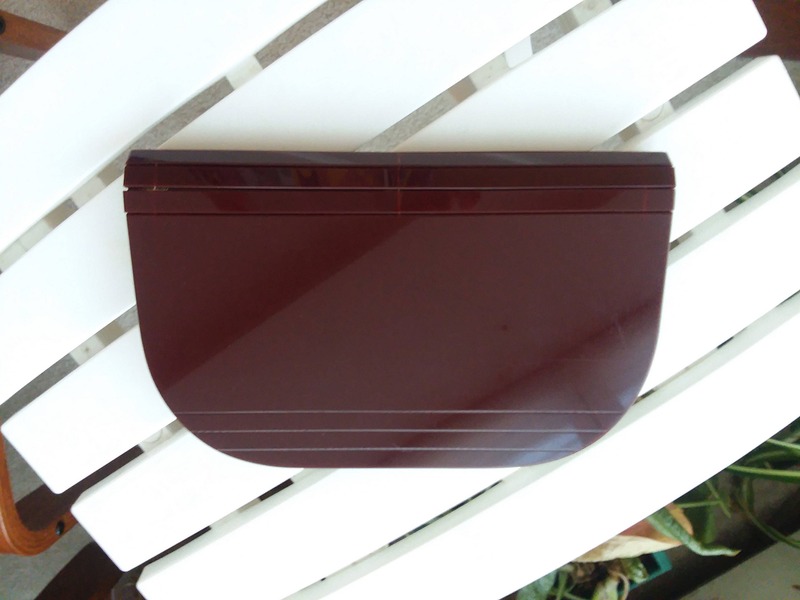 Envelope style clutch with a burgundy Lucite cover and snap closure. 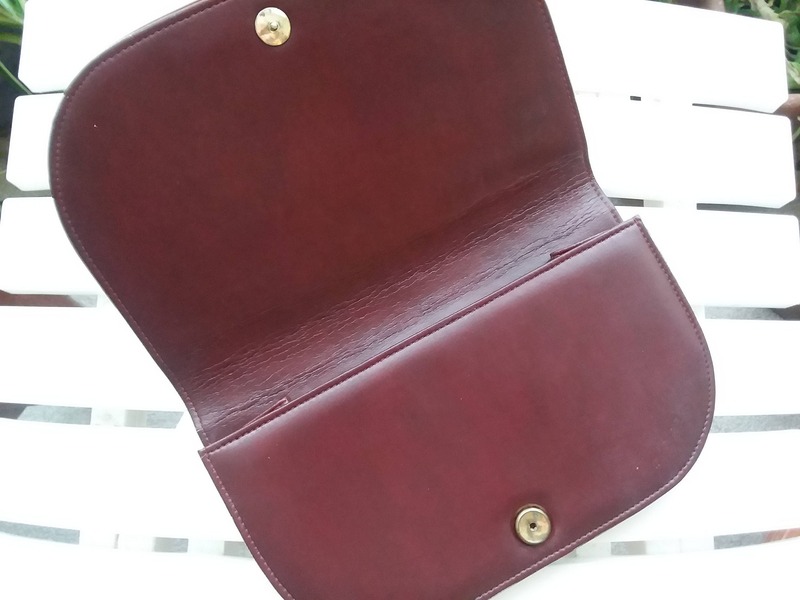 Matching burgundy faux leather on the inside cover. Polyester interior with one patch pocket and one plastic zippered pocket. 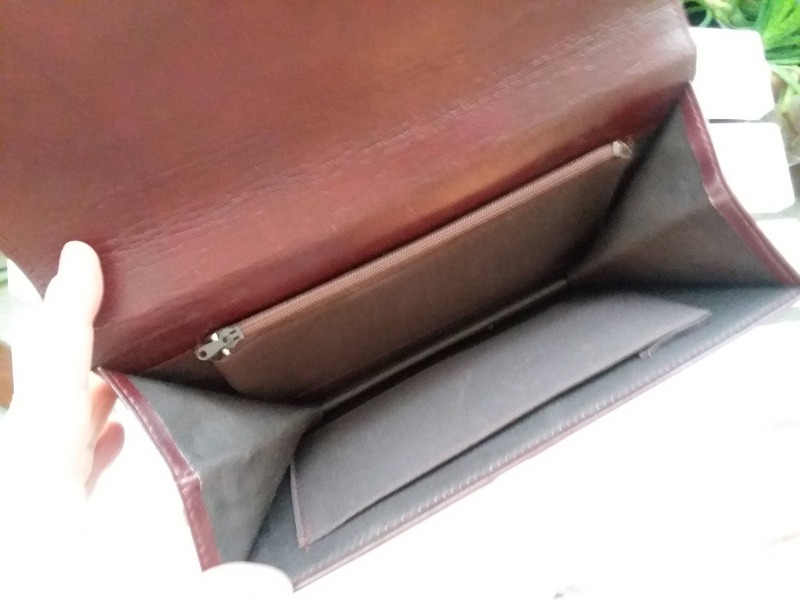 This is a great classic handbag in great shape except for a long thin scratch on the front side. Can be seen in the first picture. It is not too distracting and the rest of the bag is in stellar condition. No label. 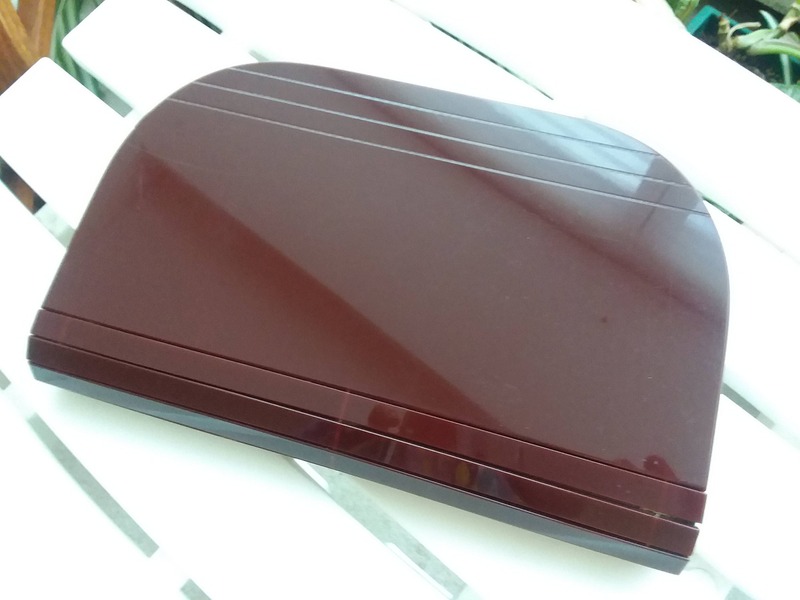 Dimensions: 10 inches long x 6 inches wide x 1.25 inches thick (expandable) when closed.